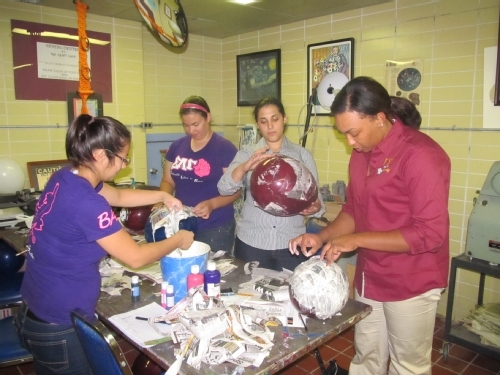 The Hispanic/Latino Resource Center (HLRC,) a unit of The Dean of Students, promotes academic success within the SIU Latino community by sharing resources and spearheading programming that promote cultural affirmation, persistence, and community engagement. Whether you are a first year student or finishing your graduate degree, we are here for you. From film screenings to how-to-write-your-statement of purpose workshops; and from salsa classes to leadership development, our goal is to create a safe and affirming space where you can thrive personally and professionally. Calling all SIU freshmen & seniors! 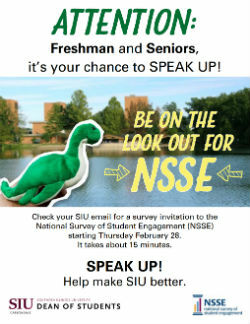 NSSE wants to hear from YOU!